Pay for your qualified insurance premiums (Premium Conversion) on a before tax basis. Pay for IRS 213d qualified expenses (deductibles, coinsurance, co-pays from your vision, dental or medical plan, for instance) from yo ur flexible spending account (Flexible Spending Arrangement) on a before tax basis. 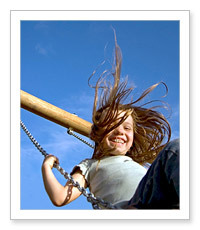 Pay for qualified dependent care expenses (Dependent Care Assistance) on a before tax basis. When the employee reduces their income for a Cafeteria Plan, the employer is generally exempt from FICA/FUTA taxes. There can be an impact on Social Security benefits at disability/retirement resulting from a lack of employer/employee contribution to FICA, as well. In a Cafeteria/Premium Conversion plan, the employees agree to reduce their income to fund their qualified insurance premiums on a before tax basis. This is the most common type of Cafeteria Plan elected by employers of less than 100 people. The plan can not discriminate in favor of the highly compensated, officers, 5 percent shareholders and must pass eligibility testing. This is typically resolved by a match on the part of the plan holder. Use it or lose it rule. The employee has a two-and-a-half month grace period to use funds in their Cafeteria Plan from the prior year. Unused funds revert to the employer. Funds must be available at the start of the plan year. For example, an employee deposits $200 per month into their Cafeteria Plan/Flexible Spending Arrangement ($2,400 per year), and has qualified expenses of $2,400 in the second month. The full amount of $2,400 is payable, although the employee has deposited $400. Cafeteria/Dependent Care Assistance plans allow the employee to fund dependent care expenses for qualified dependents (children under age 13, physically/mentally handicapped dependent of the employee) on a pre-tax basis. These plans are also subject to non-discrimination testing and the filing of IRS form 5500. Examples of expenses that may be paid via a Cafeteria/Dependent Care Assistance plan include at home child care, household services related to the care of the elderly or disabled and care at nursery schools. In general, the employee can contribute up to $5,000 annually into a Cafeteria/Dependent Care Assistance plan. Your employees can fund their qualified insurance premiums on a before tax basis.